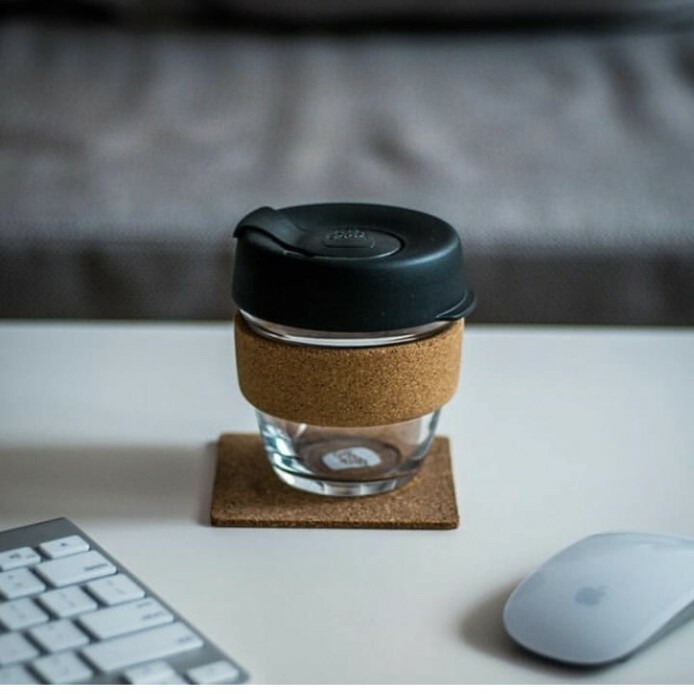 KeepCups mission is to encourage the use of reusable cups. They set out to do this by delivering sustainably made products that are fit for purpose. These Keep cups are barista friendly, they replicate the size of your normal disposable cup - so go on, make the change, think reusable NOT disposable. Welcome to the Reuse Revolution! Buy yours today and help contribute to the movement, many cafes across the UK are offering reduced hot drink prices if you bring in your own reusable cup, so what are you waiting for?? Get yours now! At Suki Tea we have these KeepCups in two sizes - 8oz (small) for the reduced price of £13.95 and in the 12oz (medium) for the reduced price of £18.95. 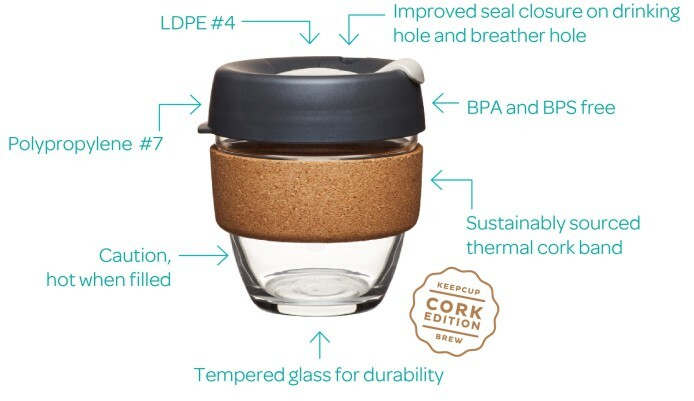 These KeepCups are made from fully tempered soda lime glass, the KeepCup Brew Cork Edition features a natural cork band. Made in Portugal using waste product from the wine cork manufacture, the band is beautiful to hold. Over time it’s patina will tell the story of your use. Don't think these glass Keep Cups are for you? Find more styles of KeepCup over on their UK website, you can find them here!